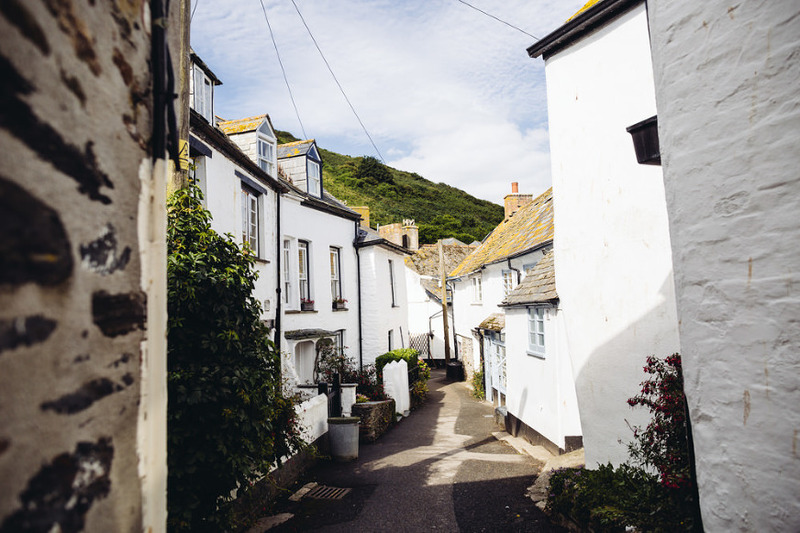 I remember the seagulls calling overheard as I headed down into the narrow streets of Port Isaac, sea air salt on my lips and my belly full of excitement. You know it’s going to be a good day when the bride is getting ready in a cottage on ‘Dolphin Street’. Bill and Emma are fellow Mancunians but they found a Cornish woodland that stole their hearts, so they filled it with friends and family, and their brilliant sense of style and fun. 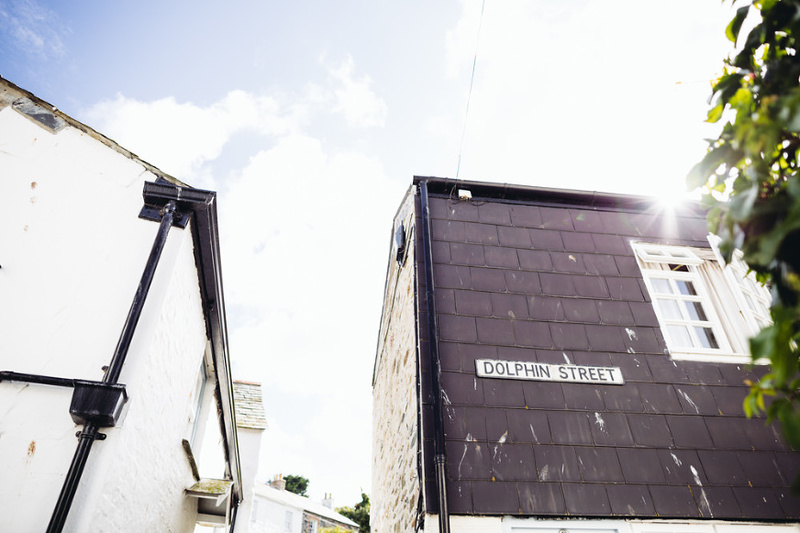 It was the most magical Mancunian corner of Cornwall you could ever wish to find. Like a private festival, with friends playing guitar and singing and later playing records into the small hours. The joy and warmth and generosity that radiated off Bill and Emma was infectious and made the whole day a delight to photograph from start to finish. It’s no surprise that their ace Didsbury restaurant The Rose Garden (go if you get the chance!) is held in such high regard – they are amazing hosts, and made me feel like one of the family from the get go. I’m still in love with Emma’s dress and big feathery cape, and the flowers were ridiculously beautiful (so I’m not sorry at all for the amount of pictures of them here). In true festival style it started to drizzle around 4pm and didn’t really stop, but it didn’t matter one bit. When you’ve got a massive tent full of your loved ones who cares if there’s a bit of rain drumming on the roof. A huge thanks to Bill and Emma for inviting me in, it was (as Emma would say) absolutely top!